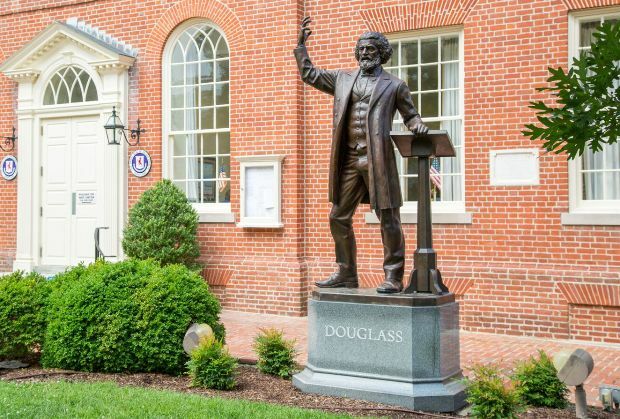 A happy 200th birthday to our local legend Frederick Douglass, one of history's great voices for freedom. It is amazing how far our Nation has progressed in the last 200 years, and such advancements would not have been possible without the courage of our local heroes of the First District. Frederick Douglass, Harriet Tubman, and Gloria Richardson placed their lives on the line to fight for a more just world. May we have the same courage today as we fight to continue their struggle. "If there is no struggle there is no progress. Those who profess to favor freedom and yet deprecate agitation, are men who want crops without plowing up the ground, they want rain without thunder and lightning. They want the ocean without the awful roar of its many waters. This struggle may be a moral one, or it may be a physical one, and it may be both moral and physical, but it must be a struggle. Power concedes nothing without a demand. It never did and it never will."